Since dandruff is a common problem nowadays I decided to dedicate some time to studying its cause and the way to curing it completely. Here is what I learned and I would like to share it with you. The right approach to curing dandruff includes regular washing of the sculp with a curing shampoo-this should happen once every 2 or 3 days. People who normally wash their hair more seldom (once a week or two) are usually predisposed to the formation of dandruff. When dandruff is in its ligher form it can be cured only by the reqular wahing of the hair with a shampoo containing the substance ketoconazole most commonly used in the concentration of 2%. You should also avoid the use of oily products for your hair and skin as well as wearing tight hats and all types of coverings because they stick closely to the sculp. Dandruff is a chronic state and therefore, you cannot expect good results overnight. 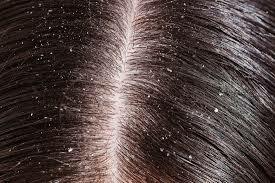 The control over dandruff requires longterm care to your skin and hair. It is very important to learn how to control stress if you want to finish with dandruff once and for all. Stress affects your health as a whole and could cause health problem. Keep your combs and brushes clean and do not lend them to other people.eat healthy food rich in fruits, vegetables, and nuts in order to nourish your skin well and improve the blood circulation. Avoid the use of sprays, foams,etc. because it is possible that your dandruff is a reaction against these products who are likely to irritate your skin.